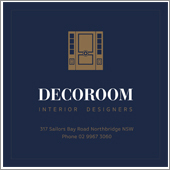 'The Gate House' - Bathroom design and material selection by Decoroom Interior Designers. 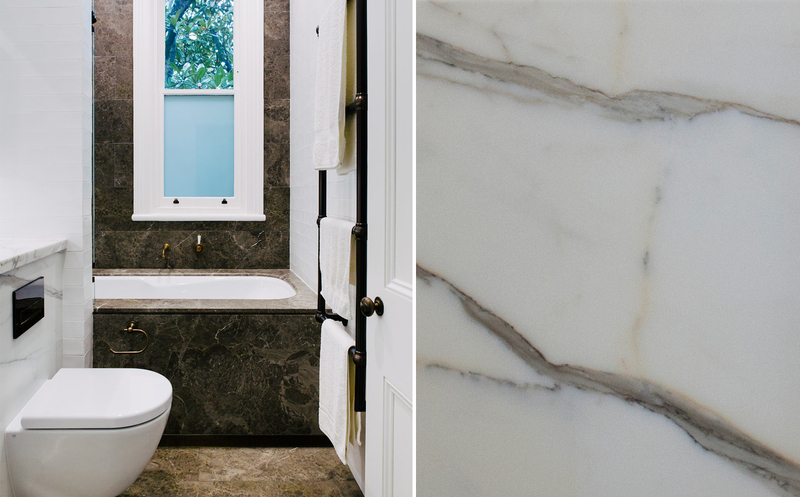 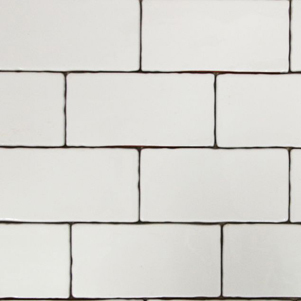 Grigio Argento Marble Tiles and contrasting Matt White Hand-Made tiles feature in one bathroom. 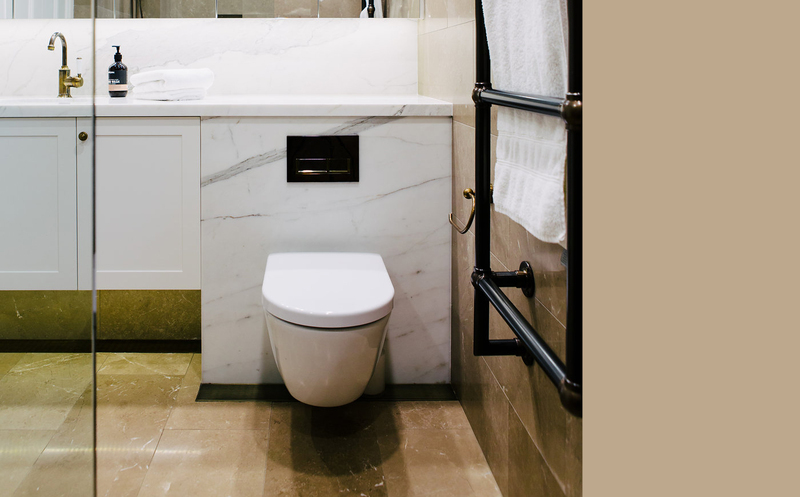 The main bathroom includes New York Marble tiles for both wall and floor. 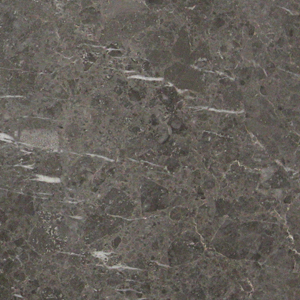 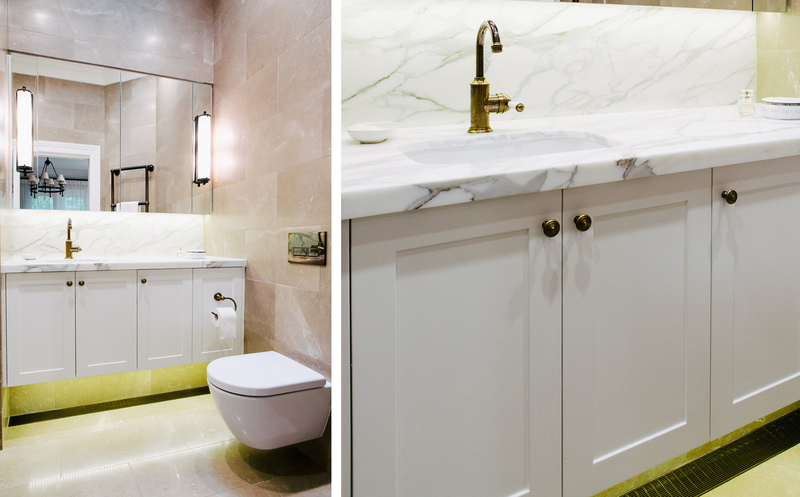 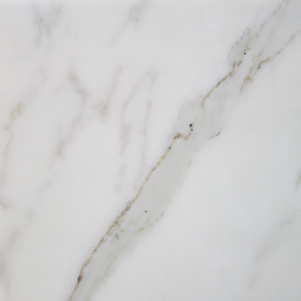 Calacatta Oro Marble - A consistent bench-top feature within both bathroom spaces.